Fortune Girl online slot - 14 free spins bonus and 1,800,000 coins to be won! 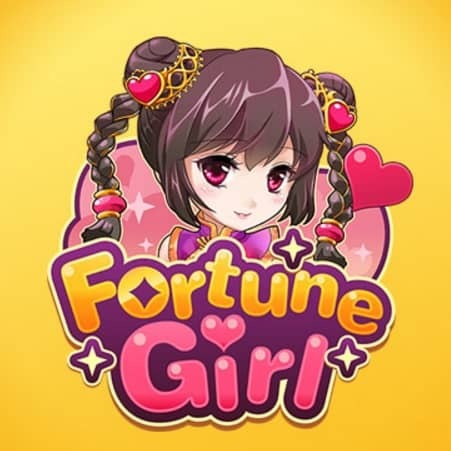 Majority of Microgaming Casinos introduces one of their new games to play this month, where the little Fortune Girl awaits you. This Microgaming slot is set in a traditional Chinese treasury which is fully stashed with gold and treasures. Experience the Chinese treasure through this 5×3 reel slot, with 15 fixed paylines filled with rich features and a 2D Manga art style, high symbols, mystery symbols, Scatters, Wilds, Free Spins, multipliers and wins up to 1,800,000 coins! When you land 3 or more Scatter symbols during the base game, you will trigger 14 Free Spins! The Scatter symbol is represented by the magic lion, this is a cultural icon of luck and fortune among the Chinese community. This feature will include Super Stacked Mystery symbols that will be stacked up to 20 symbols high and can appear on all reels. Each time that you land Scatter symbols during this feature, the Free Spins win multiplier will be increased one level, up to a maximum of 5x. All bets played will be the same as the game that triggered the feature, and Free Spins cannot be retriggered. Fortune Girl comes with exciting mystery symbols that can transform into any symbol during the base game except the Wild symbol. These mystery symbols also make an appearance during the Free Spins feature. All the mystery symbols that you land will transform, and can result in a full screen filled with Scatter symbols. These symbols are stacked up to 20 symbols high and can appear on all of the reels. Mystery symbols are stacked in the base game and super stacked during the Free Spins feature! When you land Wild symbols, they will substitute any of the symbols except the Scatter symbol. Scatter symbol wins will multiply by the total bet stacked. Scatter symbols pay in any position and they do not contribute to paytable achievements. Spin with luck and win with love on the Fortune Girl slot!